Wondering where exactly we mentioned a phrase, a text, or a name? 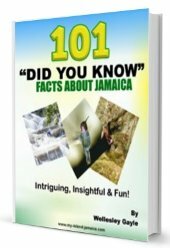 Can't remember which page(s) that featured 'real estate' or 'jamaican travel stories' (for example)? Or better yet, want to search for a brand new term related to Jamaica that you did not see here? Our SiteSearch tool will help! The search results will appear below or as an overlay on this page to make it even more convenient for you! Return to My Island Jamaica from Site Search!